Wouldn’t it be super swell if you could receive a notification directly in Notification Center when your favoirite jailbreak app or tweak received an update? 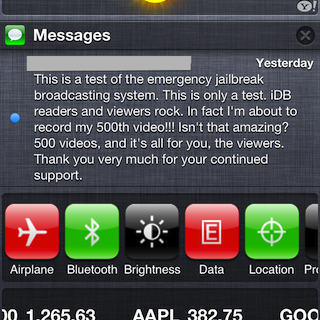 Apparently jailbreak developer Ryan Petrich thinks so too. 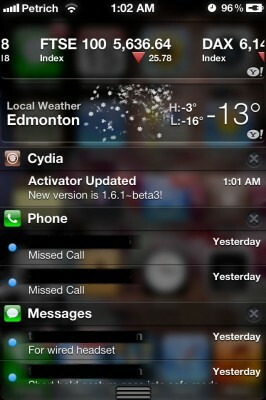 Hence, he has started working on a Notification Center tweak aptly entitled (tentatively at least) CydiaBulletin. As you can see from the screenshot above, there is a notification informing him that a new version of Activator is available in the Cydia store. We’re assuming that the tweak will open up Cydia to the particular app in question with a swipe. Something like this has been overdue for quite some time, so it’s good that someone is working on it. 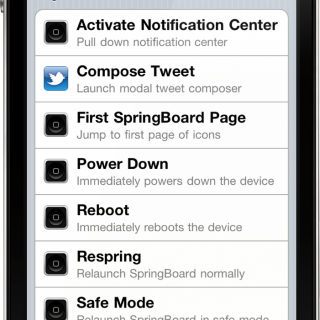 Even better is the news that the tweak is in the very capable development hands of Mr. Action Menu himself. There’s still no word on an exact ETA, but we’d like to imagine that it wouldn’t be released too long after the A5 untethered jailbreak goes live. Are you excited at the idea of CydiaBulletin? We certainly are.